White-tailed Sea Eagles occur across a broad range of habitats but are closely associated with water all year round. Utilizes coastal cliffs and trees for nesting but also offshore islands and inland lakes and marshes. Trees apparently preferred for nesting where available but cliff-nesting may predominate in areas lacking suitable trees. In some areas lacking both cliffs and trees, eagles may nest on the ground, such as offshore, predator-free islands. Sites within a few kilometres of water-bodies where birds forage for food are preferred. In winter sea eagles may congregate in small groups at high quality feeding sites such as those with abundant carrion. Estuaries and bays are important in wintertime due to abundant carrion and wintering wildfowl. Occurs near human habitation and even within urban areas in parts of range. In south-west Ireland Castlemaine and Tralee Harbours are likely to become important as wintering sites for immature sea eagles. 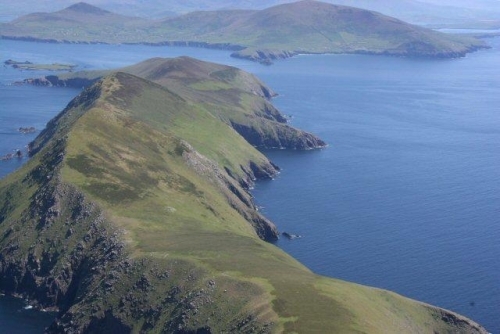 Much of the coastline of the Dingle, Iveragh, and Beara peninsulas as well as offshore islands should prove attractive for breeding eagles.